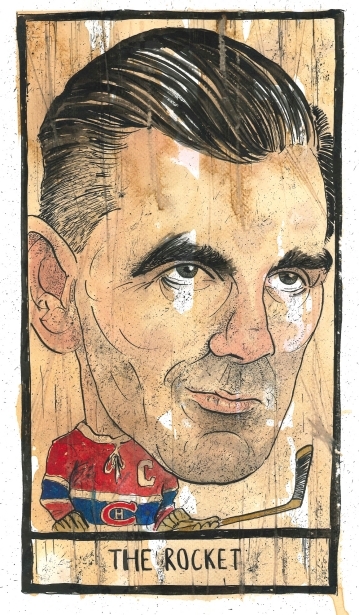 Red Glare: You’re more likely to find depictions of footballers, politicians, and dogs in the portfolio of Graeme Bandeira, an illustrator from Harrogate in England who’s resident artist at The Yorkshire Post, but he’s also turned pen and paint to Maurice Richard. For more of his work, visit http://altpick.com/bandy. Later, after a parade in Pittsburgh (400,000 were said to have come out), the Cup went on its annual pilgrimage to visit the hometowns of the players and coaches who’d won it. With Phil Pritchard, its Hockey Hall of Fame guardian, Cup travelled to Landshut, in Germany, and to Moscow, Russia. It visited Helsinki, in Finland, and Jyväskylä, too, in the Finnish Lakeland. Swedish stops included Stockholm, Sollentuna, Sundsvi, Södertälje, Luleå, and Nykvarn. Canadian stops included Fehr’s hometown, Winkler, Manitoba, where it visited the Southland Mall. GM Joe Sakic was sorry to see him go, but he respected the decision. “We’re all good,” he told Nicholas Cotsonika of NHL.com. It took Sakic just over a week to find a replacement: Jared Bednar, who last season won the AHL’s Calder Cup championship at the helm of the Lake Erie Monsters. Was it worrisome that by early August Shea Weber still hadn’t travelled to Montreal? 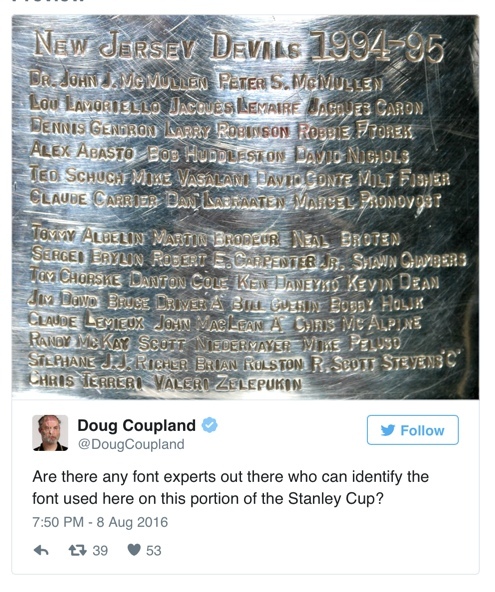 People were wondering, this summer, including several writers on the Habs beat. Defenceman Justin Schultz welcomed the Stanley Cup to West Kelowna, B.C. His parents were there, at Royal LePage Place, beaming their pride. Kim said she tries to keep it all in perspective and keep Justin and the family grounded. Answer: while interested parties suggested up Bell Centennial Bold Listing, Times New Ransom, and DIN Mittelscrift, the likeliest one seems to be … no font at all. As detailed here, at the Hockey Hall of Fame’s Stanley Cup Journal, the cup’s engraver, Louise St. Jacques of Montreal, uses a collection of small hammers and custom-made letter stamps to knock each letter into the silverware. Cole Harbour, of course, is where Crosby hails from, a Halifax suburb on the Dartmouth side, about half-an-hour’s journey from the airport, if you’re going. Crosby had his day there with the Stanley Cup in July: as captain of the Penguins, he got the trophy for an extra day’s visit. Crosby’s Stanley Cup parade took him from St. John XXIII Roman Catholic Church in Dartmouth— confessions taken Wednesday at 6 and Saturdays at 3 — to Cole Harbour Place, a distance of about 1.8 kilometres. RCMP officers in red serge escorted the captain and his trophy while a crowd of — well, no-one seemed to know precisely how many people showed up: “thousands” was the best the CBC and local newspapers were offering. Fun fact: Burnzie got his first tattoo when he was 11 years old. It’s a Canadian flag with two hockey sticks going through it. And his dad took him to get it. He’s added a few more over the years, including a tattoo on his leg of Harry Potter battling a giant blue dragon. The town of Bathurst in New Brunswick, named a street for a local boy, 23-year-old Sean Couturier, a centreman for the Philadelphia Flyers who also, this summer, signed a new six-year contract with an average annual value of $4.33M. Number 4, he was talking about, which Hall did bear on his back from the time he arrived in Edmonton in 20 up until the day this past July when he was traded to New Jersey. 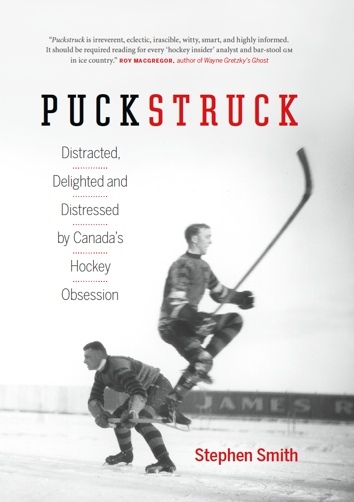 But before Hall, Edmonton’s 4 belonged to defenceman Kevin Lowe. He’s the one Matheson wants the Oilers to honour. The six names above are all in the HHOF and Lowe isn’t, but from 1979 to when he left here in 1992 for the Rangers, few NHL blue-liners were better defensively. Again five Cups, but because he’s not a Hall of Famer — his name came up several times in voting about 10 years ago — the Oilers have also used that omission as a reason why the No. 4’s not retired. In Weyburn, Saskatchewan, Penguins’ defenceman Derrick Pouliot stood by the Stanley Cup in the lobby of Crescent Point Place. In Toronto, the Cup spent time with another defenceman, Trevor Daley, who dropped by Regent Park, before heading over to a private party at a downtown restaurant called Spice Route. Luke Cranston was his name, of Lucknow; the arena in question is the Lucknow and District Sports Complex. Never been there myself, but I do know that Paul Henderson is a Lucknow man, and that when the rink expanded in 2010, it added the Paul Henderson Hall, which includes (by the Lucknow Sentinel’s account) “a warm second floor viewing area, new roof, stairs and seating areas” along with a display case filled with Hendersoniana. Farrish grew up there, too, in the years he got to the NHL as a defenceman for the New York Rangers, Quebec Nordiques, and Toronto Maple Leafs. The New York Times once described the role he regularly played as “body-bruising;” in latter years, he’s been an assistant coach with the Leafs and Anaheim Ducks and, most recently, Colorado’s Avalanche. On Luke Cranston’s initiative, July 9 was declared Dave Farrish Day. There were speeches (by Farrish and a former Ranger teammate, Pat Hickey) as well as a silent fundraising auction. In the evening, at the Lucknow Legion, there was a Bruce County Beef Dinner. But the centerpiece of the day came early, when the townspeople dedicated the front entrance of the arena: for now and forever, let it be known as the Farrish Foyer. Chris Lomon of the NHLPA’s website caught up with Vancouver winger Alex Burrows in July. Former New Jersey Devil Bobby Holik was loaded for bear back in June, as he likes to be. This was out in Wyoming, in the western U.S., as told by the Czech-born erstwhile centreman himself on his website, holikonshooting.com. “The black bear we were hunting for failed to show up at our bait barrel those two nights we had set aside to hiking up to the spot where bears are frequently sighted by my friend. It was still a great adventure. As we moved up to thicker timber farther up the trail we started seeing bear activity signs. Droppings on the trail and scratch marks on trees that mark their territory. Even thought the predators are not really interested in humans it’s a good thing to have a friend with you and be armed. You are only an hour or so of hard, fast hike from the closest house but it feels you have entered different world where humans do not necessarily dominate the top of the food chain. Thrilling and adventurous. Holik was trying out some new firearms from CZ-USA. His thoughts? My personal all time favorite handgun ever is CZ 97. I own both versions now. The decocker 97 BD and manual safety equipped 97 B. I have rubber grips on the carry/truck gun BD and beautiful old fashioned wood grips on the B. The latter version is my range gun and I have found that novice shooters are more accurate with that large .45 caliber than any other gun we try. It is larger than most but the weight absorbs the recoil better than any other .45 I and many of my friends (guys and gals alike) have shot. The accuracy is down right shocking when I see them not believing how well they did shooting the gun for the first time. David Backes, who left the St. Louis Blues in July to sign on with the Boston Bruins for five years, told fans not to worry about his age and durability. Pittsburgh defenceman Brian Dumoulin spent his offseason back home in New England, taking a course at Boston College to complete a degree in marketing. Dumoulin’s day with the Cup, in Biddeford, Maine, featured a 15-minute, three-kilometre parade, from Biddeford High to Biddeford Ice Arena, where 2,000 well-wishers were gathered. Back in Cole Harbour, the politicians wondered whether maybe they might rename Cole Harbour’s Forest Hills Parkway after their boy Sid the Quondam Kid. What about that? Council voted to ask staff to study the idea, Zane Woodford of Halifax Metro reported, though some councillors had a better idea: maybe would it be more appropriate to re-christen the arena, Cole Harbour Place? Pittsburgh defenceman Ben Lovejoy, the first New Hampshire-born player ever to win the Stanley Cup, spent most of his day in his hometown of Canaan. 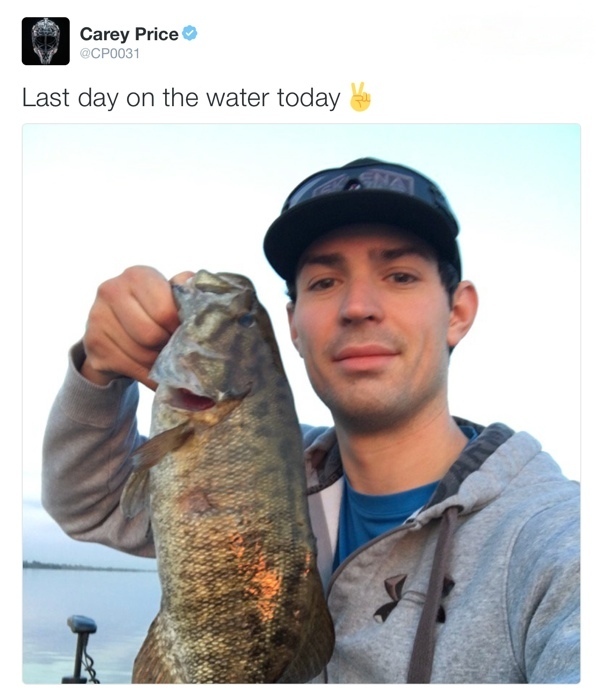 Goaler Post: Carey Price tweeted a summer send-off this past Monday, August 29. Other policemen, these ones in Buffalo, New York, arrested a local Sabres’ winger, Evander Kane, in July, charging him with four counts of non-criminal harassment and another of misdemeanour trespass following an incident at a bar.